Base Description Small base near Solanium patch. Notes High wealth yellow star system. Solanium/ Colbalt/ Phospherous/ Copper planet with frequent fire storms. 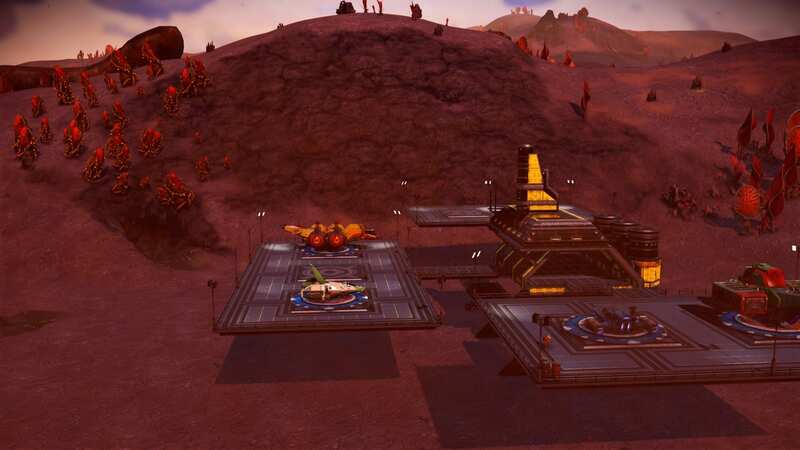 2 large (48/8 slot) haulers (visible on far left & far right in screenshot), & 1 large (38/12 slot) explorer (not visible in screenshot) that like to land as S class. Beacon at a Trade Post. Trade Post is near a crashed freighter, a patch of cobalt, and a large grove of Solanium. One predatory animal (a large cat) which will slowly stalk you.